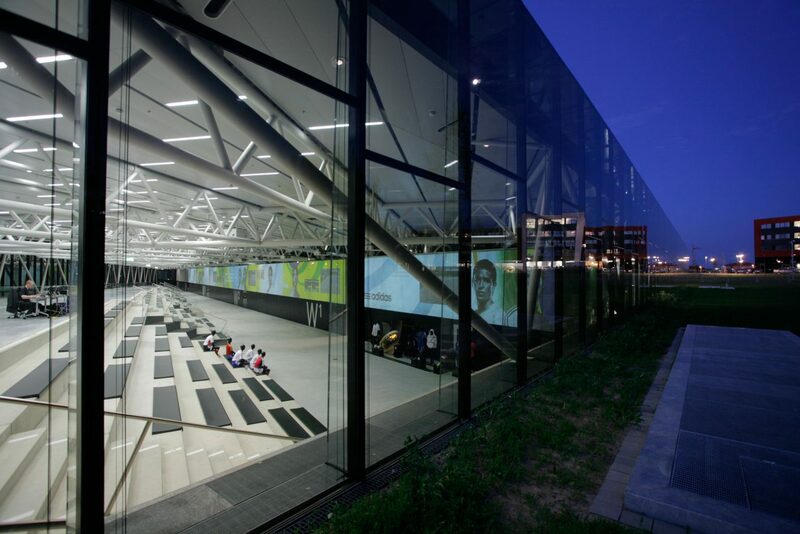 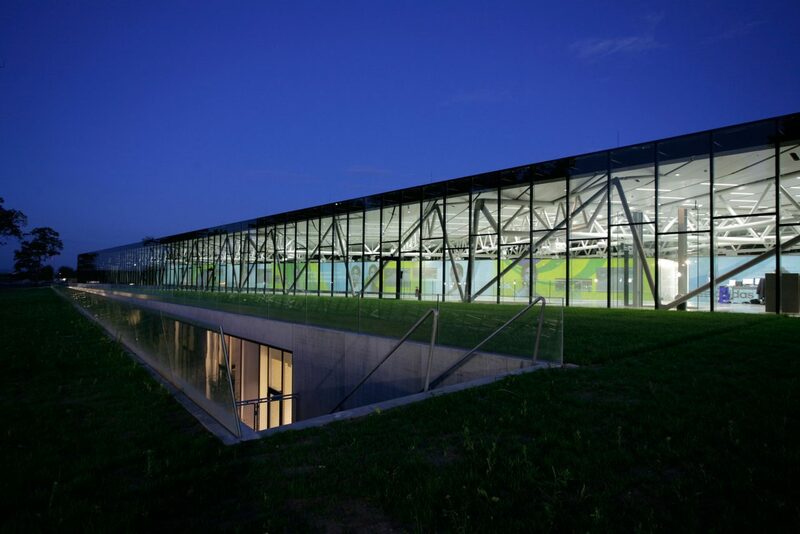 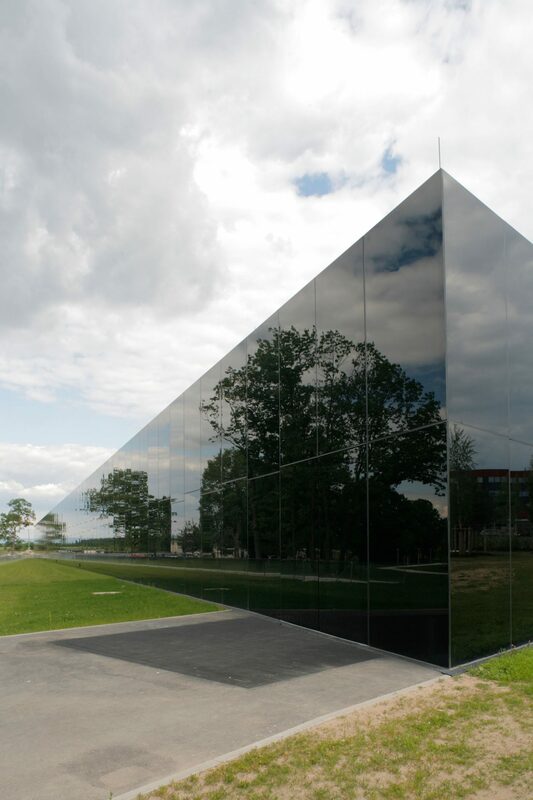 The Brand Center of sportswear manufacturer “adidas” at the company’s head office in Herzogenaurach is designed as a cube in shining black, nestling inconspicuously in the greened areas of it surroundings. 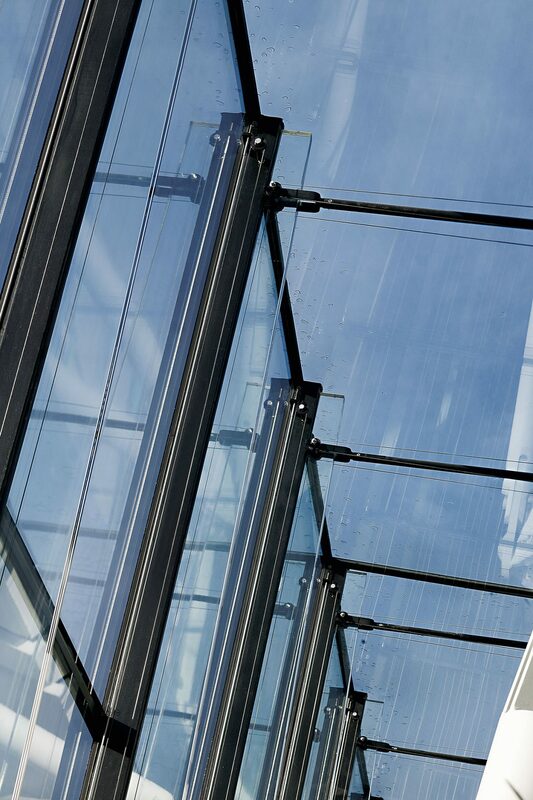 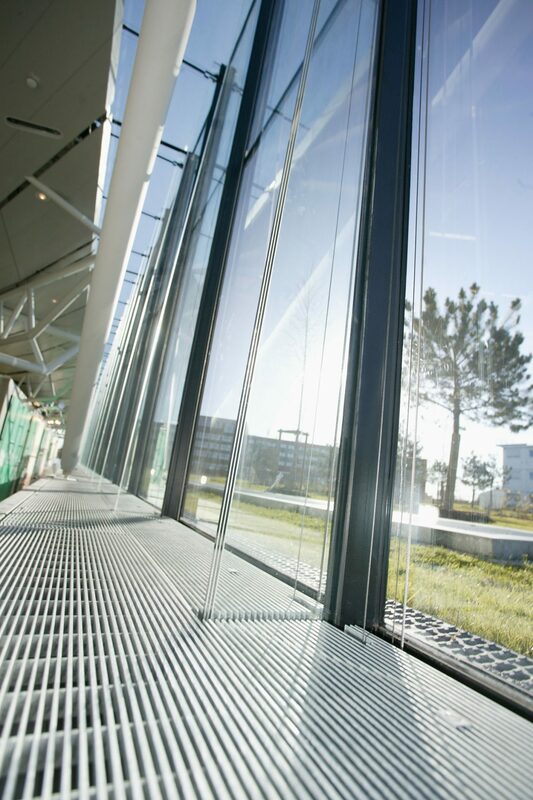 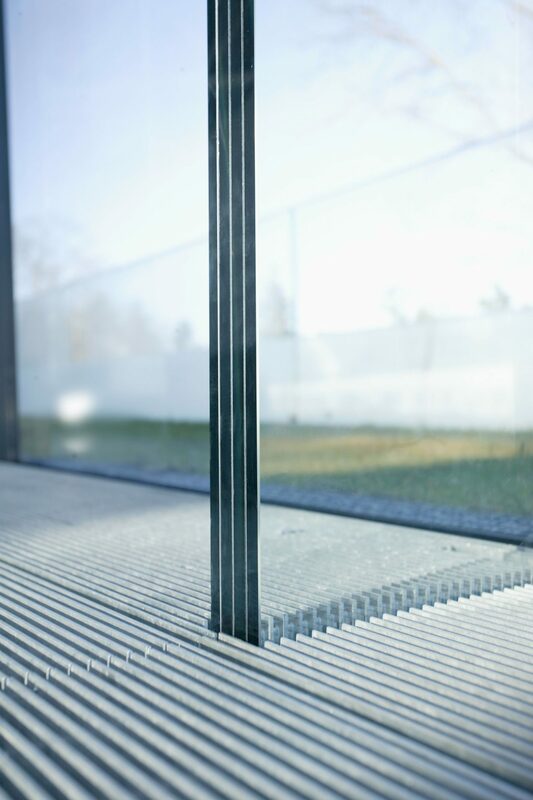 The highly transparent all-glass facade was executed with reinforcing, vertically arranged glass fins. 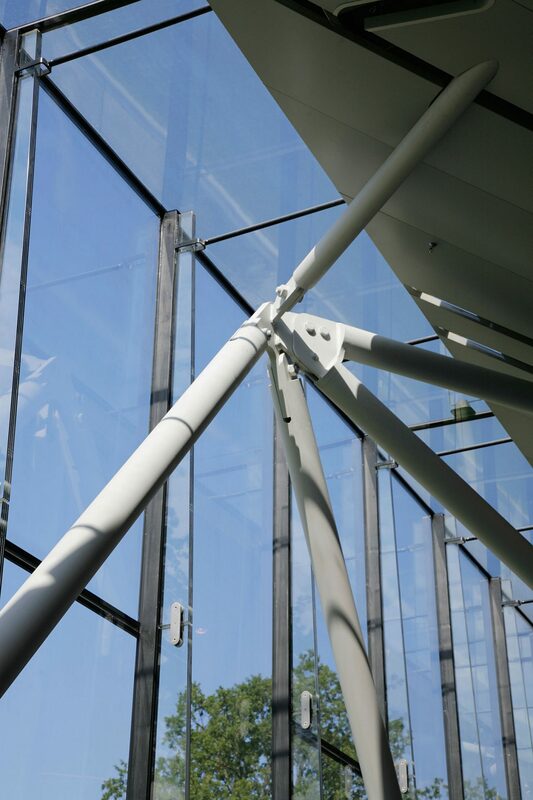 The fins are clamped at floor level using brackets and project from the floor towards the ceiling. 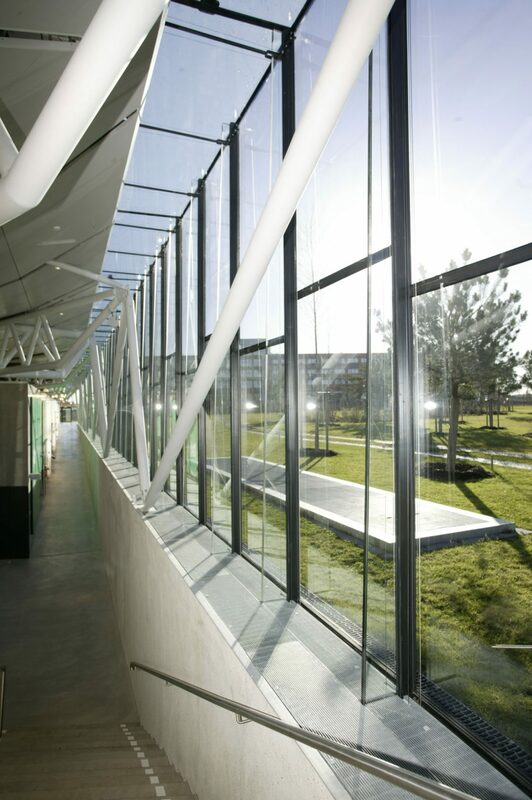 The facade is connected with the projecting glass fins by the panel joints in the glazing, supporting itself on them, so to speak.